Harriet Tubman Davis was the founder of the John Brown Home for the Aged. 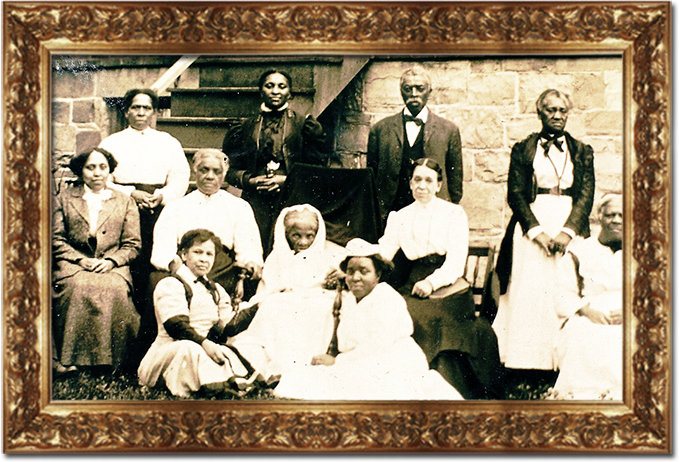 About a year before her death, Harriet Tubman Davis dressed in a white shawl over her head and white dress, is seated in the center of the photo, outside of the Home for the Aged. She is surrounded by the matrons and members of the Board of Managers. Her grandniece, Mary Elliott Gaskin, the author’s grandmother, stands first to the left in the back row.